Don’t hate me. 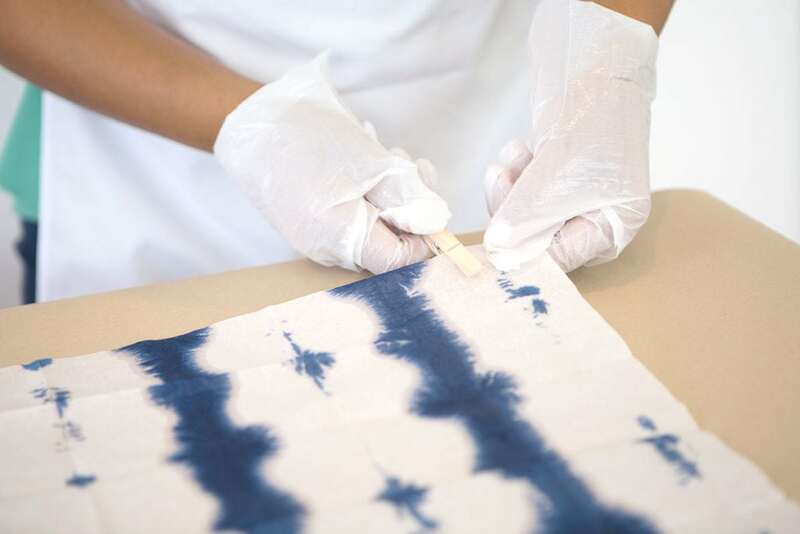 By now you’ve probably seen Shibori everything. 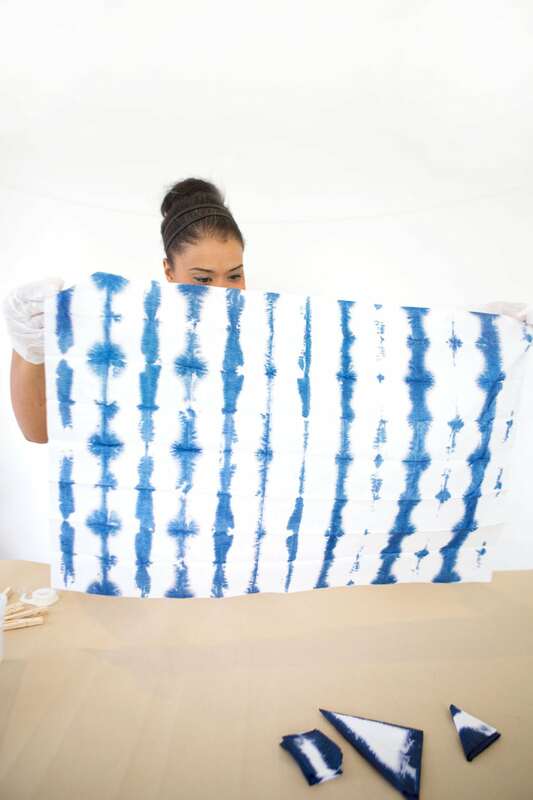 I even made a Shibori table runner on Home & Family. 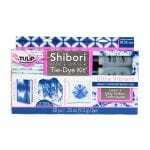 You might be all Shibori’d out. You might be tired of this awesome technique that’s been all over the interwebs. 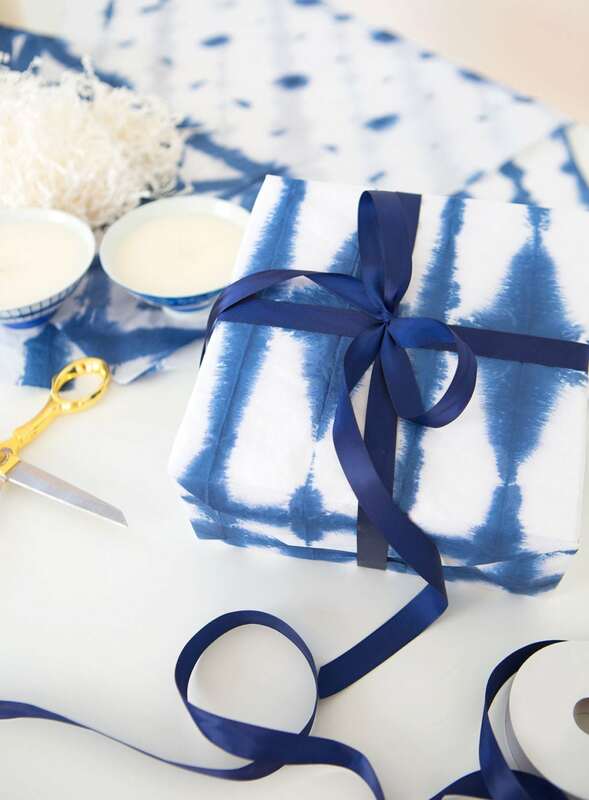 Well – hopefully, you’ll forgive me because I’ve come up with a slightly different take on Shibori that I think you’ll love. 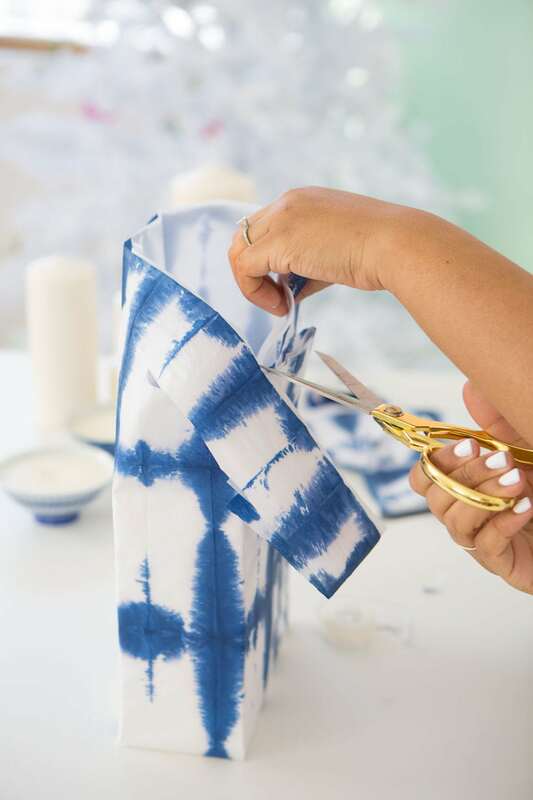 DIY Shibori tie dyed wrapping paper! 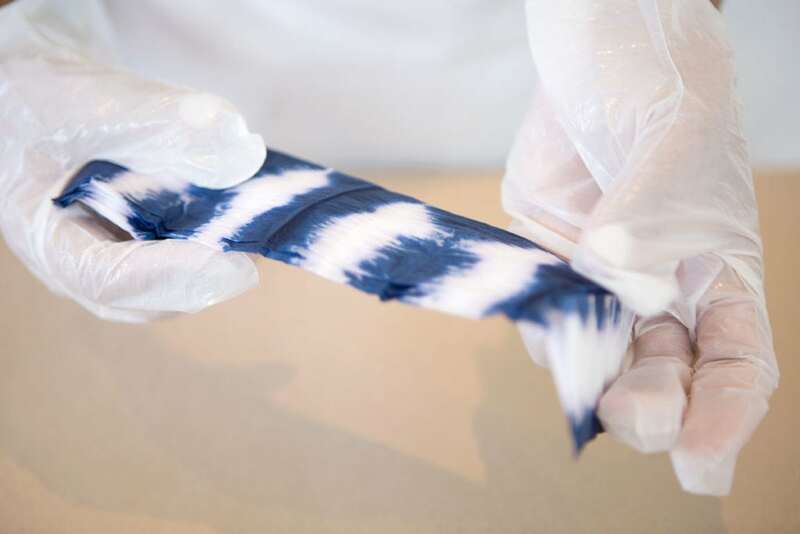 Start by mixing the tie dye powder. 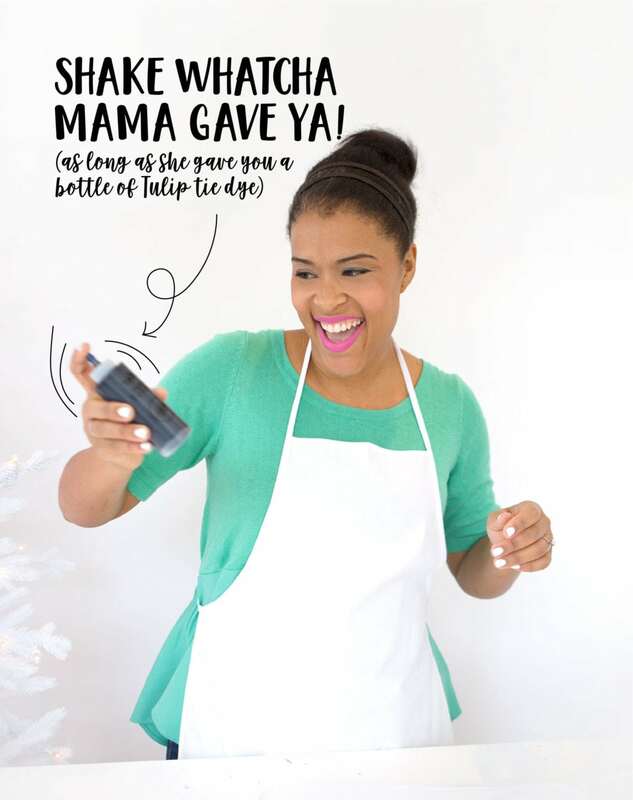 It’s already in a bottle – so just add water and shake to get everything incorporated. Next up – the folding. You can have fun with this. Experiment with different folds to see how it comes out. I went with a few zig-zag folds and a few triangle folds. 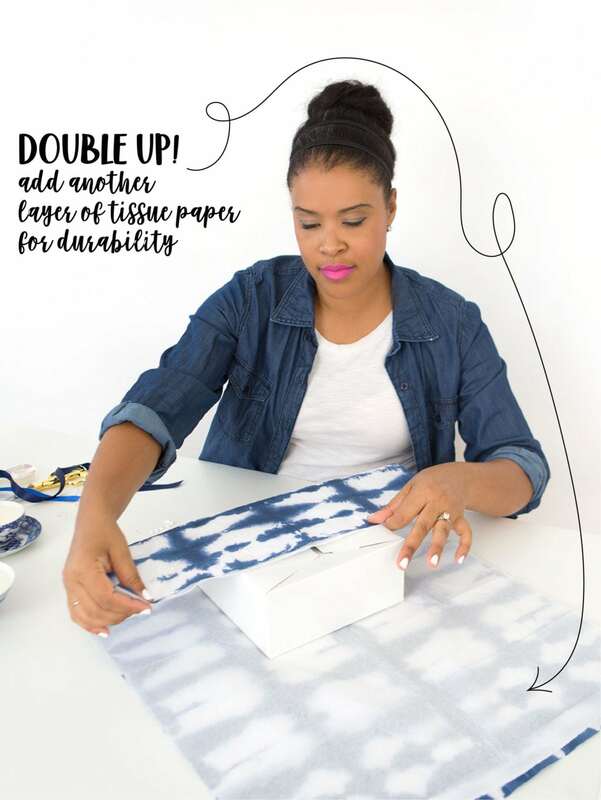 Since tissue paper is so thin, it’s easy to fold. 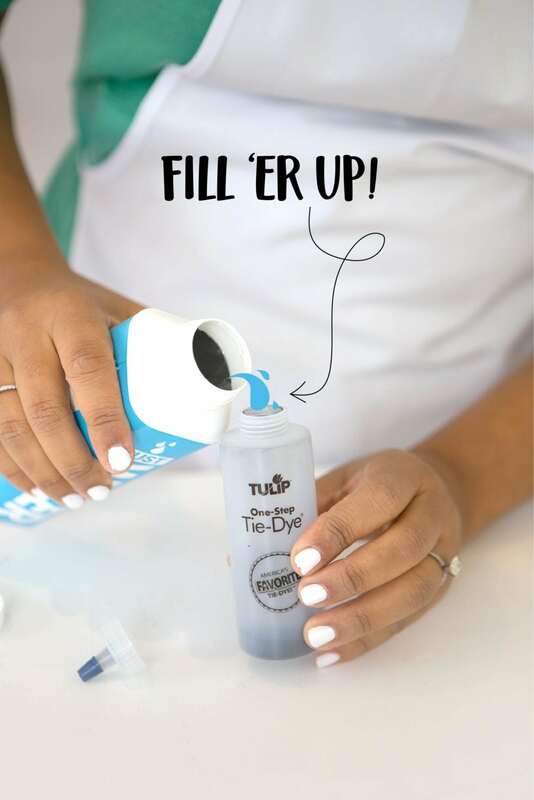 Squeeze a small puddle of dye into the plastic tub. 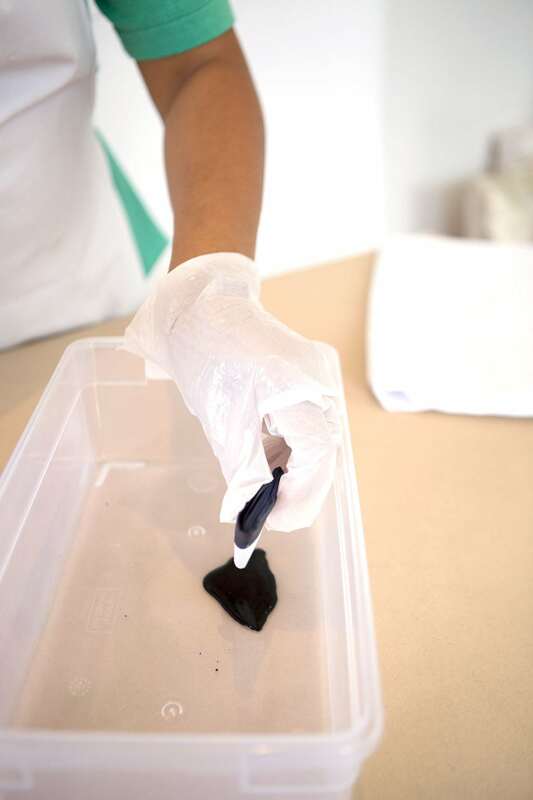 Put on the plastic gloves that come in the tie dye kit, then dip the edges of the tissue paper into the puddle of dye. 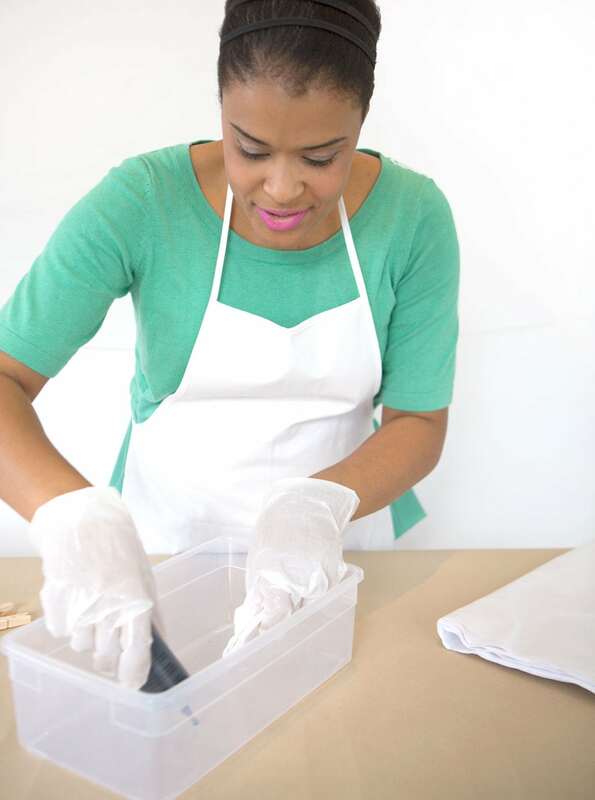 Don’t let it soak – just dip and take it out. 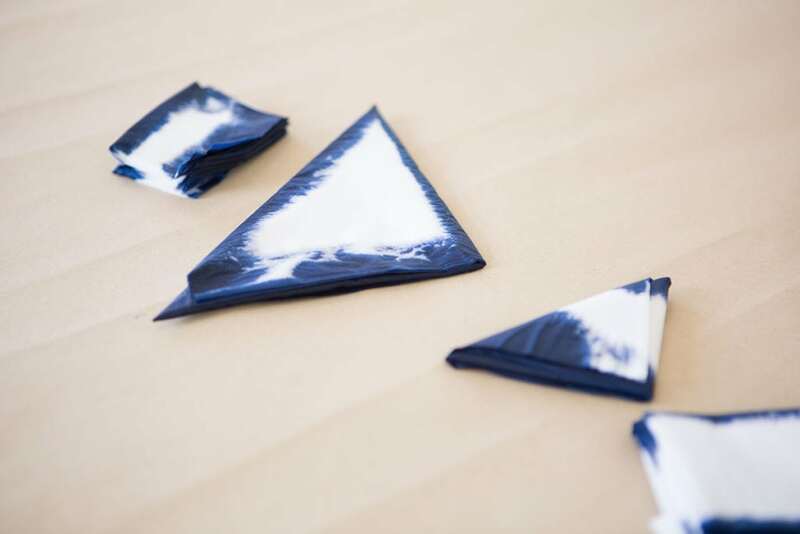 The tissue paper is super absorbent so it doesn’t need much time to take on the blue color. 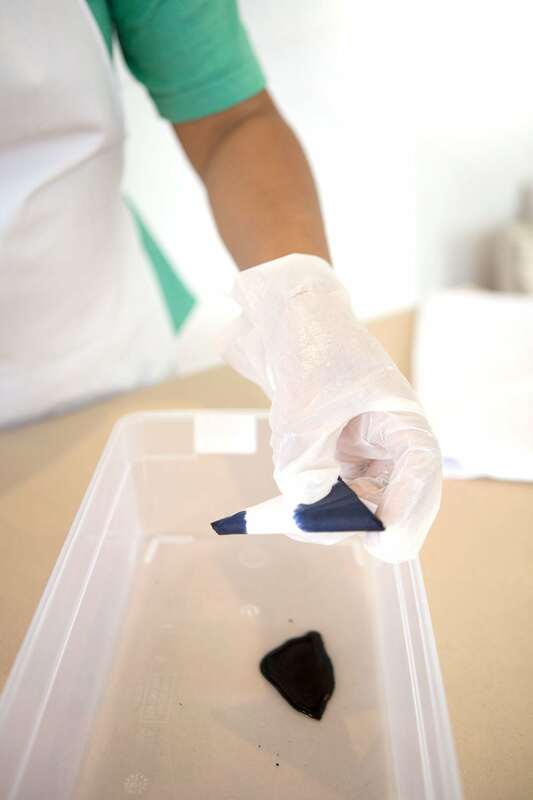 Gently unfold the dyed tissue paper. Did you hear me?! BE GENTLE!! The wet tissue paper is very delicate and you want to avoid tears. 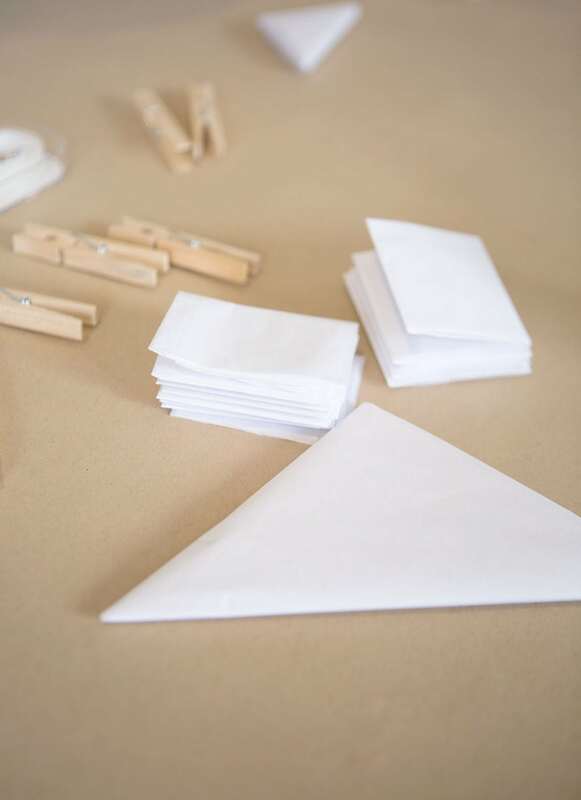 Hang the paper onto a line to dry – or lay it out on a table. It will dry in about 15 minutes and then you’re ready to wrap! 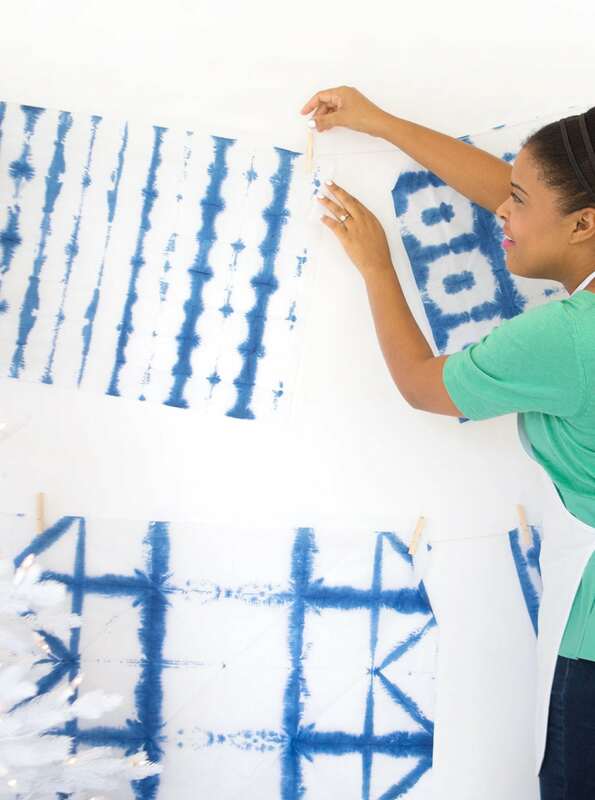 Are you so so ready to shibori?! Girl, you are a genius!! 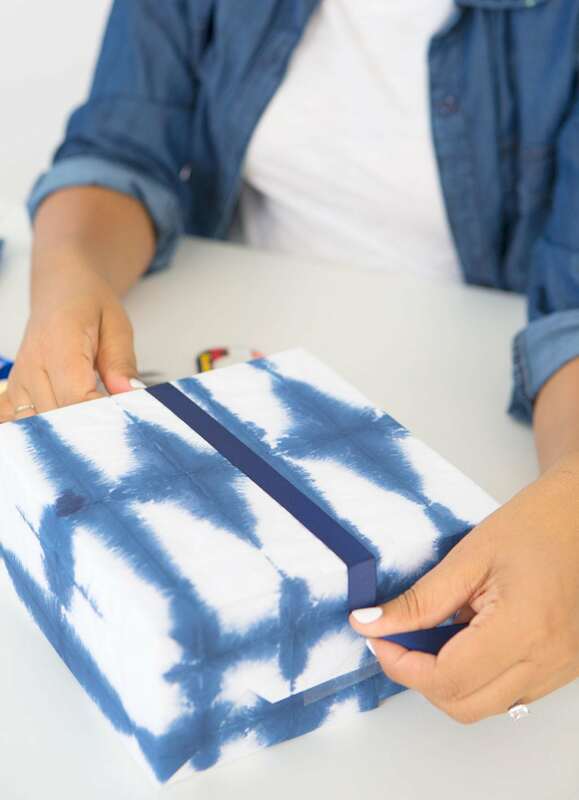 I was trying to figure out a way to do shibori wrapping paper and totally failed. You did it AND it’s beautiful!!! Brilliant!!! Thank you for posting. I’m inspired to try this with my watercolors.